$260,000 (235,000 euros) and it’s yours! 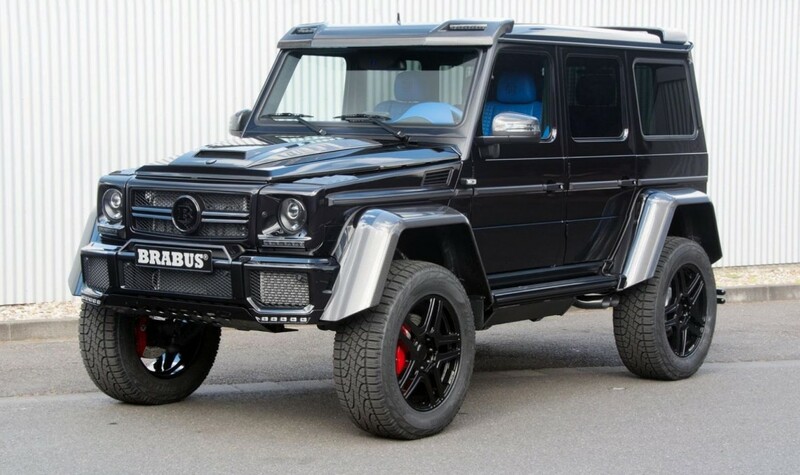 This is the Brabus-tuned Mercedes-Benz G500 4×42, with the complex geometry of axles of the 6×6 bigger sibling, all under the body of the regular4-wheel G.
Born in the 70s, the model that outlived all the others and underwent minor changes along the years is about to get new looks and new technology, as our spy photographers certified it. But until that happens, the G500 4×42 still has some life left in its veins. Just enough to inspire the tuning experts from Brabus with a background in hyping cars of nearly 40 years. Pretty much as long as the G-Class has been around. They tweaked the 4.0-liter biturbo V8 to develop 493 bhp from the standard 416 bhp and fitted it with a peak torque of 523 lb. ft. That’s a lot of hard work for old grandpa G, isn’t it? So much that it takes 6.9 seconds to hit the 62 mph (100 km/h) milestone and already suffocates at 130 mph (210 km/h). A hot hatch does the speed job much better, so an A 45 AMG would satisfy more those crazy about mastering the highway. The exterior of the power-hungry G-Class got carbon fiber detailing like wide wheel arches, new sills and a roof wing, to make it look even more robust. On the inside, the looks of the G turn ever more striking. They wrapped the interior of the G in some electric blue leather: seats, door interiors, steering wheel, center console and even hand brake. They stopped at nothing! As we know Brabus, they will probably soon release pictures of some other shades to counter for the demands of the color-lovers.